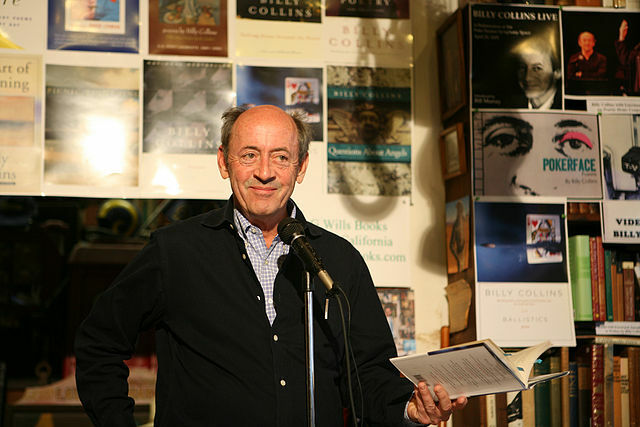 "In the nearly three dozen poems [Billy Collins] reads on this disc, the immediate genius of a stand-up comic is joined to the slow intelligence--the layering of life and learning--of an accomplished poet. He's been my companion on the best car rides of the past few weeks, and I'll be listening to him again tonight. Highly recommended." That's how one reader and fan describes The Best Cigarette, the 1997 album by Billy Collins, which you can stream for free on Spotify. If you need Spotify's free software, you can download it here.